Before getting on to the Appium interview questions, the student must know that the Appium is a continuously varying field which needs the students as well as professionals to upgrade their skills with the new features and knowledge, to get fit for the jobs associated with Appium. This post related to Appium Interview Questions and Answers, Appium Interview Questions and Answers Freshers, Appium Interview Questions and Answers, Appium Interview Questions will help you let out find all the solutions that are frequently asked in you upcoming Appium interview. Over thousands of vacancies available for the Appium developers, experts must be acquaintance with all the component of Appium technologies. This is necessary for the students in order to have in-depth knowledge of the subject so that they can have best employment opportunities in the future. Knowing every little detail about Appium is the best approach to solve the problems linked with problem. 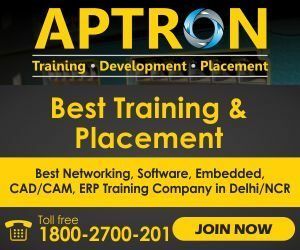 APTRON has spent hours and hours in researching about the Appium Interview Questions and Answers, Appium Interview Questions and Answers Freshers, Appium Interview Questions and Answers, Appium Interview Questions that you might encounter in your upcoming interview. All these questions will alone help you to crack the interview and make you the best among all your competitors. First of all, let us tell you about how the Appium technology is evolving in today’s world and how demanding it is in the upcoming years. In fact, according to one study, most of the companies and businesses have moved to the Appium. Now, you cannot predict how huge the future is going to be for the people experienced in the related technologies. Hence, if you are looking for boosting up your profile and securing your future, Appium will help you in reaching the zenith of your career. Apart from this, you would also have a lot of opportunities as a fresher. These questions alone are omnipotent. Read and re-read the questions and their solutions to get accustomed to what you will be asked in the interview. These Appium interview questions and answers will also help you on your way to mastering the skills and will take you to the giant world where worldwide and local businesses, huge or medium, are picking up the best and quality Appium professionals. This ultimate list of best Appium interview questions will ride you through the quick knowledge of the subject and topics like Hybrid Apps, Native Apps, WebApps, Selendroid. This Appium interview questions and answers can be your next gateway to your next job as a Appium expert. These are very Basic Appium Interview Questions and Answers for freshers and experienced both. Q1: Explain what is Appium? A1: Appium is a freely distributed open source mobile application UI Testing framework. Q2: List out the Appium abilities? Q3: List out the limitations of using Appium? Q4: Explain how to find DOM element or xPath in a mobile application? A4: To find the DOM element use “UIAutomateviewer” to find DOM element for Android application. Q5: What language does Appium support? Q6: Explain what is APPIUM INSPECTOR? A6: Similar to Selenium IDE record and Playback tool, Appium has an “Inspector” to record and playback. It records and plays native application behavior by inspecting DOM and generates the test scripts in any desired language. However, Appium Inspector does not support Windows and use UIAutomator viewer in its option. Q7: Mention what are the most difficult scenarios to test with Appium? A7: The most difficult scenario to test with Appium is data exchange. Q8: While using Appium can I run my tests in a multithreaded environment? A8: Yes, you can run the test in a multithreaded environment but you have to ensure that no more than one test runs at the same time against the same Appium server. Q9: What are native Apps? A9: Those Apps are written by using Android SDKs and IOS are known as Native Apps. Q10: What are Mobile Web Apps? A10: There are the mobile webs pages are those web apps that by are accessed with the mobile browsers. In case of IOS platform, Appium supports Safari and for the android platform, Chrome or any other built in browser is used. Q11: What are hybrid apps? A11: Those apps that are equipped with wrapper around the web view is known as a Hybrid app. This is native control that will facilitate the interaction with the web content. Q12: What are the requirements to write Appium tests? Driver client – Mobile applications are driven by Appium like that of a user. With the help of a client library Appium tests can be written and these will wrap the steps of a test and then send it Appium over the HTTP. Appium Session– Appium tests takes place within a session so it is important to initialize an appium session first. Once there is an end to the automation of a session it will be ended and wait again for the next session. The desired capabilities– In order to initialize an appium session it is very important to design some parameters which are known as desired parameters. These parameters are platform version, platform name, device name and many more. This also helps in specifying the type of automation that is required from the Appium server. Driver Command – In Appium you have the facility to write the tests by using a big and expressive collection of commands. Q13: Name the types of errors that you can face in Appium. A13: 1. Error type one – These types of error occurs when there is the need of desired capabilities but they are not provided. Missing of Device name or platform name is considered to be part of this error type. 2. Error type two – These types of error occurs when you cannot find adb. To avoid this type of error can be avoided by setting Android Home environment variable with Android SDK root directory path. 3. Errors type three – This falls under the category of penqa.selenium.SessionNotCreatedException which will not allow you to create a new session. Q14: What are the most difficult scenarios that one might face while testing Appium? A14: Data exchange is the most difficult scenario that one might face while testing Appium. Q15: Is it possible to run tests in a multithreaded environment while you are using Appium? A15: It is indeed possible to run tests on multithreaded environment but you have to make sure that no two tests are running simultaneously on the same Appium server. Q16: What’s That One Point Which Made You Choose Appium For Mobile App Testing? A16: It has a unique design which natively supports Selenium. And Selenium is one of the most used and evolving technology for automation testing. It has an open support from the global browser vendors like Google, Mozilla, and Safari. Each one of them agreed to provide their Web drivers implementing the Selenium interfaces. Next, it is cross-platform enabled, supports all popular programming languages, and webdriver makes its tests more scalable. You need to write tests once which you can run anywhere. Q17: What Would You Prefer To Test On Real Devices Or Use Simulators/Emulators? A17: It’s one of the most commonly asked Appium interview questions. You’ve to be little logical and practical while answering it. Don’t just simply answer “It would depend on what you need.”. Because it would be a layman answer which interview won’t expect from you. Rather you should explain it by example. You can say something like that it’s always best to test on real devices. As it would allow you to catch errors that you may not detect otherwise. But you have to configure the device smartly with the Appium server so that it can detect the device. Sometimes the ADB, the Android debugger may disconnect from the device even if it remains plugged in. And it can cause your tests to fail. To handle such issues, you can write a module which resets the ADB after some time to re-connect the devices. Q18: How Do The Tests Run On Simulators/Emulators? A18: The limitation of disconnecting from the devices would never occur with the emulators. They will remain attached to the ADB. You may even set orientation and other hardware-based features that it can emulate. Running entirely in a virtual world wouldn’t come without some limitations. Your tests would run slow as the emulators consume a lot of memory. Even they might behave intermittently during the execution. But you can start early testing with them till you acquire the real devices. Q19: Which Are The Test Frameworks That Appium Supports? Appium doesn’t have built-in or default support for any test frameworks. You can use it with many testing tools like Selenium Webdriver. There are some unit test frameworks like <NUnit> and <.Net>which you can use with Appium. Appium provides a driver module that’s what you need for writing test cases. Q20: Does It Require An <.Apk> File For Automating Tests In Appium? A20: Yes, you need the <.apk> package to automate using Appium. Q21: Why Do The Appium Clients Exist? A22: Appium is not a huge application and requires very little memory. Its architecture is actually pretty simple and light as Appium acts like a proxy between your test machine and each platform automation toolkit. Once up and running, Appium will listen to HTTP requests from your tests; when a new session is created, a component in Appium’s Node.js code called _proxy_ will forward these Selenium commands to active platform drivers. Q23: How Can I Test Android Tablets? A23: The best way to test on different Android emulators screen sizes is by using the different Android Emulator Skins . For instance, if you use our Platforms Configurator you’ll see the available skins for the different Android versions (e.g Google Nexus 7 HD, LG Nexus 4, Samsung Galaxy Nexus, Samsung Galaxy S3, etc). Some of these skins are tablets, for example the Google Nexus 7C is a tablet which has a very large resolution and very high density. Q24: Explain The Pros And Cons Of Appium? Q25: What Test Frameworks Are Supported By Appium? A25: Appium does not support test frameworks because there is no need to support them! You can use Appium with all test frameworks you want. NUnit and .NET Unit Test Framework are just a few examples; you will write your tests using one of the drivers for Appium; thus your tests will interface with Appium just in terms of an external dependency. Use whatever test framework you want! Q26: What Data Exchange Is? A26: When I say “data exchange” I am not referring to scenarios like getting or setting the value of a textbox. I am also not referring to getting or setting the value of an element’s attribute. All these things are easy to achieve in Appium as Selenium provides commands just for those. By “data exchange” I mean exchanging information hosted by complex objects stored in different parts of your webview-based app like the window object. Q27: I Don’t Want To Set Up A Whole Infrastructure For My Tests And I Don’t Want To Spend Money On Hw. Can Appium Help Me? A27: If you think about it, what really is required from you is writing tests. Then the fact that you must deploy an Appium server somewhere is something more. Q28: What Are The Basic Commands That I Can Use In The Selenium Protocol? Q29: What Mobile Web Browsers Can I Automate In The Android Emulator? A29: Currently the only browser that can be automated in our Android emulators is the stock browser (i.e Browser). The Android stock browser is an Android flavor of ‘chromium’ which presumably implies that its behavior is closer to that of Google Chrome. Q30: Any Tips Or Tricks To Speed Up My Test Writing Activity Or My Migration Process? A30: Here is one piece of advice. Since your tests will mostly consist in automation tasks (if this condition is not met, you might want to reconsider using Appium), make interactions reusable! Do not write the same sub-scenarios twice in your tests, make a diagram of what your scenarios are and split them in sub activities; you will get a graph where some nodes are reachable from more than one node. We know the list of Appium Interview Questions and Answers, Appium Interview Questions and Answers Freshers, Appium Interview Questions and Answers, Appium Interview Questions is overwhelming but the advantages of reading all the questions will maximize your potential and help you crack the interview. The surprising fact is that this Appium interview questions and answers post covers all the basic of the Appium technology and you have to check out the FAQs of different components of Appium too. However, you will be asked with the questions in the interview related to the above mentioned questions. Preparing and understanding all the concept of Appium technology will help you strengthen the other little information around the topic. After preparing these interview questions, we recommend you to go for a mock interview before facing the real one. You can take the help of your friend or a Appium expert to find the loop holes in your skills and knowledge. Moreover, this will also allow you in practicing and improving the communication skill which plays a vital role in getting placed and grabbing high salaries. Therefore, it’s never too late to edge all the basics of any technology. If you think that you’ve not acquired the enough skills, you can join our upcoming batch of Appium Training in Noida. We are one of the best institute for Appium in noida which provide advance learning in the field of Appium Course. We’ve highly qualified professionals working with us and promise top quality education to the students. We hope that you enjoyed reading Appium Interview Questions and Answers, Appium Interview Questions and Answers Freshers, Appium Interview Questions and Answers, Appium Interview Questions and all the FAQs associated with the interview. Do not forget to revise all the Appium interview questions and answers before going for the Appium interview. In addition to this, if you’ve any doubt or query associated with Appium, you can contact us anytime. We will be happy to help you out at our earliest convenience. At last, we wish you all the best for your upcoming interview on Appium Technology.